People looking to eat healthy might be surprised to find out one of their best bets might be a crawfish boil. Not counting drinks, the boiled corn, potatoes, and crawfish comes out to a pretty balanced, low calorie meal. Nationally regarded Baton Rouge chef Holly Clegg says the mudbug is the perfect lean meat. Clegg says, "A three ounce serving of cooked crawfish is only seventy calories and fourteen grams of protein." Clegg says crawfish is its own little multi vitamin. 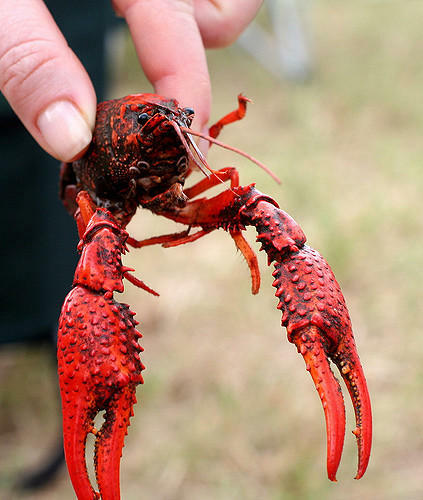 According to Clegg, "Crawfish is a great source of B12, niacin, iron, copper, and selenium." Clegg says don’t blame the crawfish’s calories if you fry it or cover it in cream, and she says at a boil, the only downside might be what you put in your mix. According to Clegg, the only negative aspect of a crawfish boil may be the "sodium intake" that accompanies crawfish. She says ounce for ounce boiled crawfish has half the calories of roasted skinless chicken breast.